The Black Nazarene is a statue of Jesus with a dark skin, maroon and gold vestments bearing a cross. 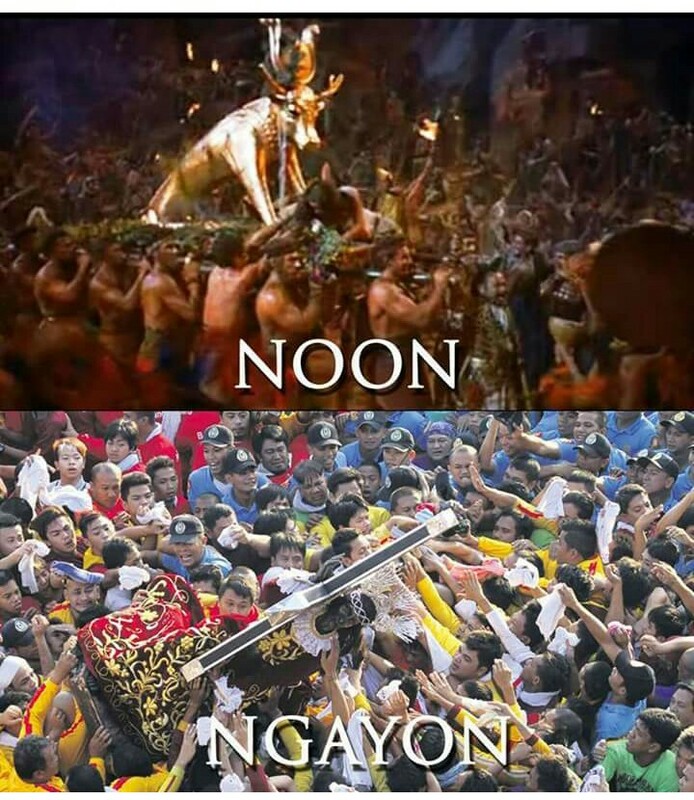 The image is being processioned every 9th of January and is attended by millions of its devotees in Quiapo, Manila. Though this is a religious event, some people believed that it violates the teachings of the bible. A facebook user posted a post regarding the image compared to the image of a cow that was praised in Moses time. He also quoted some verses in the bible citing his points. Though he had made a point in his post, many still believed and devoted on the image for religious reasons. As for some, the image brings miracle to those who believe in it and for some it is a proof of the existence of Jesus.